No one is expected to have a clean slate, and lenders are well aware that everyday citizens owe money. As long as you are making repayments regularly when they are due, this will not go unnoticed! It will also look good if you are occasionally paying back more than the minimum amount, showing capability, if you miss payments or are regularly paying late this will put you at risk. Lenders also understand there might be some instances where you are unable to repay an owed amount and you can place a correction note next to this justifying your reasons. Remember, if you already owe a lot of money, lenders will be unwilling to put you at risk of more debt. See RIFT for more information on any money you might be owed by tax to boost your credit. Mistakes can occur and put you at risk if there are incorrect details noted on your record. This could include an incorrect payment or wrong personal details, which can jeopardise your chance of a good credit score. It is important to move any incorrect or old addresses, as this will affect your chances of being approved. It’s also worth keeping your credit separate to your financial partner in case any negative ratings on their part affect you. By regularly checking your file you can overcome these issues and correct any errors. This is a quick and easy step that will put you at an advantage. 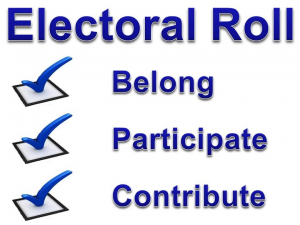 Lenders use the electoral roll as a means to prevent fraud and as proof of address. If you aren’t signed up you are less likely to have you credit application approved. It is important to remember that every time you obtain a new form of credit, this will leave a footprint on your record. If you have any credit arrangements that are no longer in use then close them down to ensure you no longer owe to these. Keep a consistent eye on existing accounts and close old accounts to put you at an advantage. It is essential to be realistic when applying for credit, only apply for credit you are likely to be approved for. 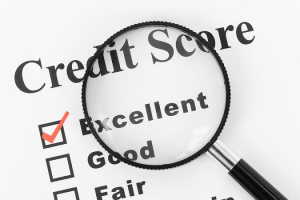 Remember to review your credit history to ensure your best chances of approval and by following these 5 steps your chances will be leveraged!